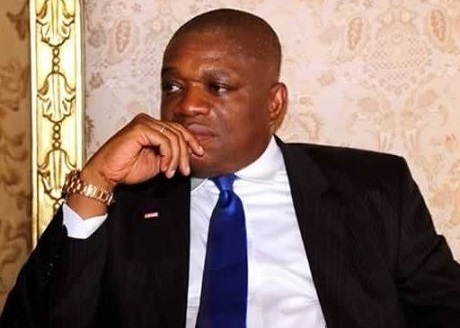 The Senator representing Abia North, Mao Ohuabunwa, has asked a Federal High Court in Umuahia, Abia State, to restrain the Independent National Electoral Commission from recognising a former Governor of the state, Orji Kalu, as the winner of the February 23 senatorial election in the district. Ohuabunwa, who contested the election on the platform of the Peoples Democratic Party, has also asked the court to stop INEC from presenting a certificate of return to the former governor who was the candidate of the All Progressives Congress. According to a statement on Wednesday by his campaign organisation, the senator said decision to go to court was taken after the electoral body failed to act on his two petitions dated February 24 and 25, demanding that a run-off be conducted in the senatorial district in accordance with Section 33 (e) Rule 17 E (e) of the commission’s guideline. The statement read, “As law abiding citizens, we have today filed a suit before a Federal High Court, Umuahia, Abia State, asking it to restrain INEC from issuing a certificate of return to the All Progressives Congress’ candidate, Chief Orji Uzor Kalu, in the said inconclusive election in Abia North. “The PDP candidate, Senator Ohuabunwa, in the exparte motion filed by his lead counsel, Chief Ukpai Ukairo, is asking the court to stop the commission from recognising the APC candidate as duly elected.